It’s high time to prepare for Christmas! That’s why here goes a new font collection with more than 70% discount! Now it costs only 12$ instead of 47$! 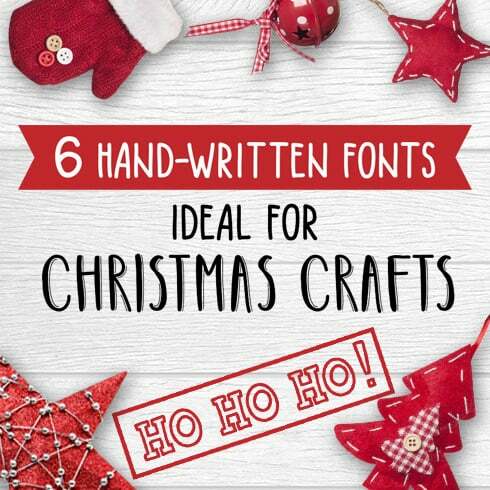 The bundle includes 6 hand-drawn fonts that are very friendly to each other and fit great for making Christmas cards, signing tags for presents, to improve Christmas photos and illustrations. Even if you don’t want to use them for Christmas decor they are perfect for modern products design, logo, t-shirt prints, postcards and so on. All the included fonts contain capital, lowercase letters, numbers and most characters from your keyboard. What Are Fonts? What Makes Them Crucial? Font can be described as a graphic manifestation of text message. We can summarise it as a design of a collection of letters and characters. With different shapes, point sizes, weight, and shade, fonts determine the appearance of design. Single font is usually priced within the range of $7 to $100 depending on the marketplace and vendor. – Sans-serif – the letters without dashes at the ends, which provides a more modern, “minimalistic” appearance and makes easier the perception of big content fragments. – Script – attractive cursive or handwritten typefaces where symbols are usually crossed with each other. Script is suitable for making an elegant, fun and calm handwritten textual content. – Decorative typefaces – intended primarily for luring the reader’s attention or employed for another specific effect or result. How Can Fonts Influence The Perception of the Services or Products? The quality of typography determines how buyers comprehend and grasp written information. Fonts help to grab curiosity and establish structure. They determine the atmosphere and develop brand recognition. Marketers are aware that fonts can create or ruin just about any visual ad, business logo, or brand graphics. As soon as you uses poor or plain looking fonts, customers see the style and design as low quality and don’t pay attention. In the event the font is hard to read, the entire artistic project does not work out to achieve its objectives. What Are Bundle Deals and What Is The Price For Them? 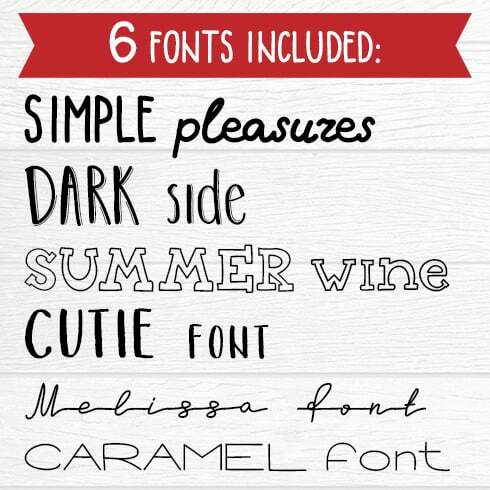 A font package is simply a range of multiple fonts sold at a greatly lowered price. The best part of buying bundles is that they cost you just a little bit more than one single web font does, as long as they are on discount. The average value of a web font bundle on our site is just $2-20. However, be fast: the life cycle of every bundle goes on for less than 5 days. I Have Not Seen Any Suitable Web Fonts in This Package. What Should I Do? 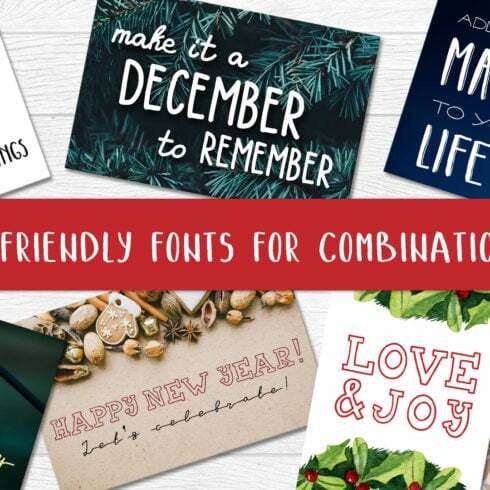 In case you have not discovered the proper font within this bundle, you shouldn’t give up hope! There are actually hundreds of product bundles from the greatest graphic designers on MasterBundles.com. Take your time to run through them all and you will definitely find the right bundle! It’s extremely rewarding to finally unearth the deal that fits your artistic and professional requirements. Apart from font bundle deals, MasterBundles provides numerous spectacular deals. Have a look at web site theme deals, icons, textures, and patterns, graphic bundles. There are additionally e-books and courses, stock photography, logos, illustrations and add-ons, mockups, and other categories. We have thematic X-mas and Valentine’s deals, post cards and presentations. And also, obviously, the most popular under $5 design bundles! Masterbundles is an online marketplace. On our website, expert graphic designers offer for sale their masterpieces at the best prices. We offer the best deals out there, and our deals are well reviewed by customers. Go and visit our blog, it is loaded with practical and motivating information for professional web designers. Also, for those who register for our newsletter, you’ll be the first to know about our special discounts. And we absolutely love discounts. There will always be discount coupons and promo codes offered to lower the price to a bare minimum.